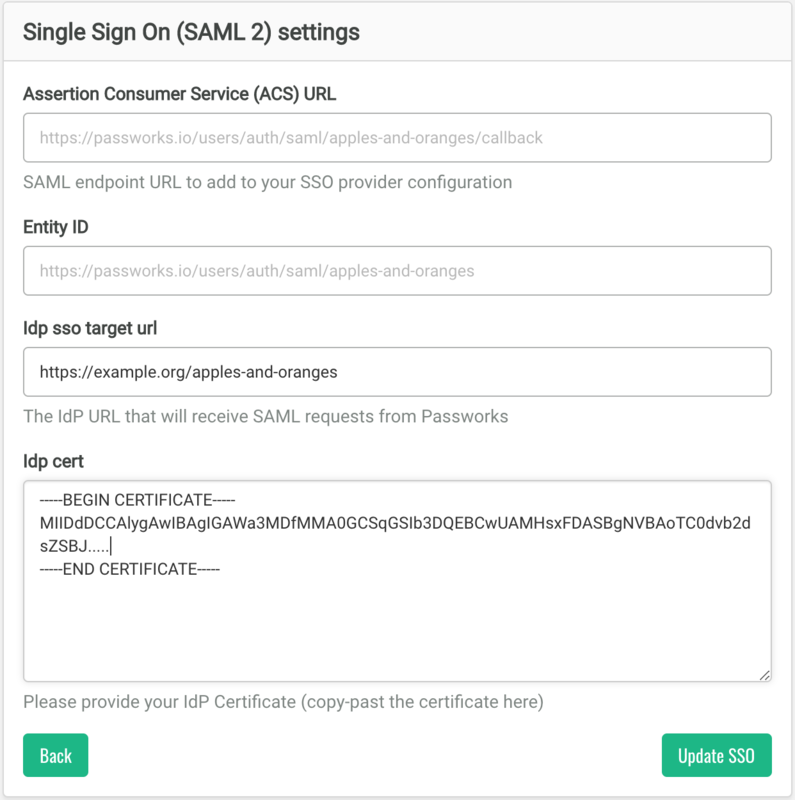 Passworks supports SAML for single sign-on (SSO). To setup and configure single sign-on access on the Passworks Platform you need be logged in with owner account user, this is the account of the first user that created the Passworks account, that person is considered the owner and his account is the only one that is allowed to setup and configure the SSO permissions (there is only one owner per account). Select Users & Permissions → Single Sign-On (SSO) to enabled the SSO for your organization. Please note the "Owner" written on the bottom of the card describing the user role. Here you can see on the footer of the image that the user is the "Owner", this is the role assigned to the current user. From the Passworks SAML configuration set the "ACS URL" from Passworks on your authentication provider, and provide the also the Passworks "Entity ID".